Visitors don’t come often. They visit for a purpose, and they are only available for a certain period of time. Any event or occasion that ranges from formal to casual ones could definitely involve visitors. They come for different reasons be it academic conferences, workshops, seminars, training sessions, and a lot more. When you invite visitors to come around, you are expected to prepare for them. You think of yourself as a host to any of your visitors and that you are responsible for their benefit. 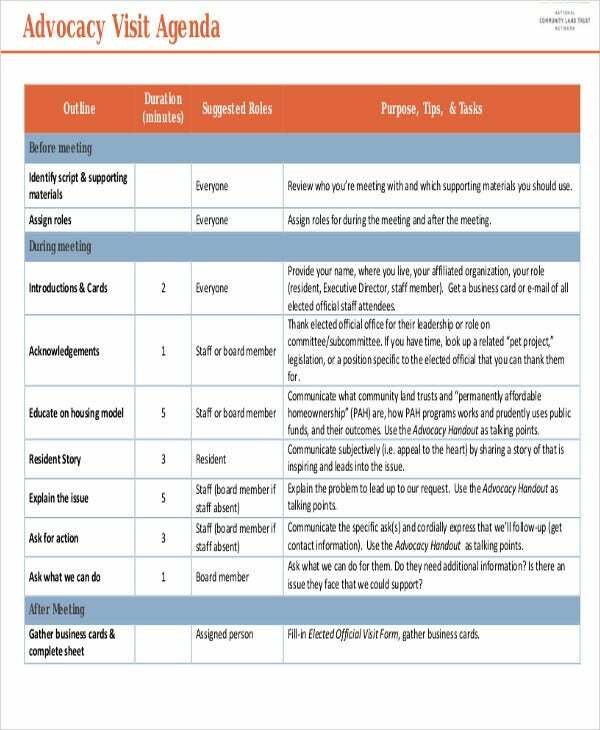 If you have visitors coming over, these Meeting Agenda Templates will surely help figure out their itinerary. Read on and learn to plan effective meetings by setting up good meeting agendas. 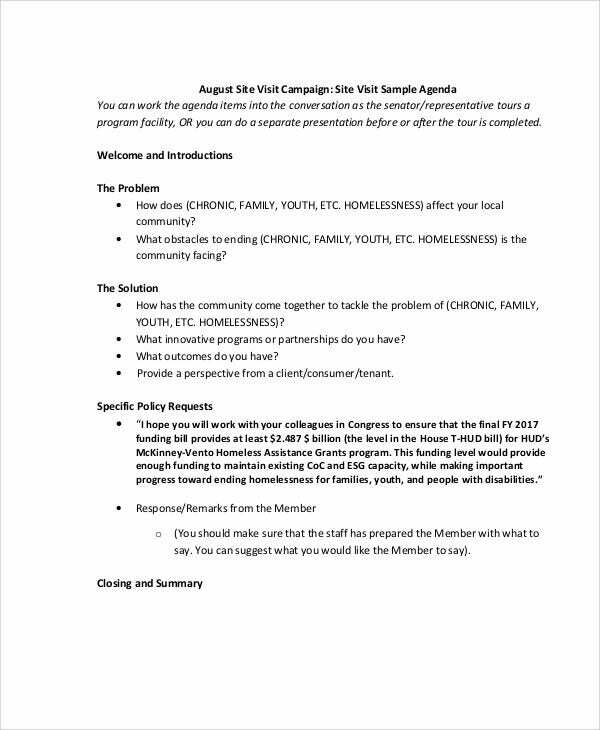 What is a Visit Agenda? 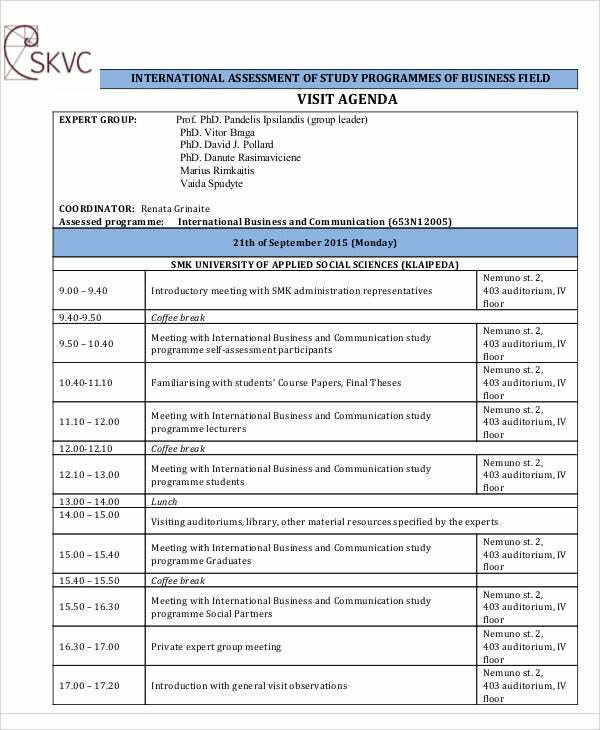 A visit agenda is a list of items that needs to be done during a particular duration or a specific period of time. 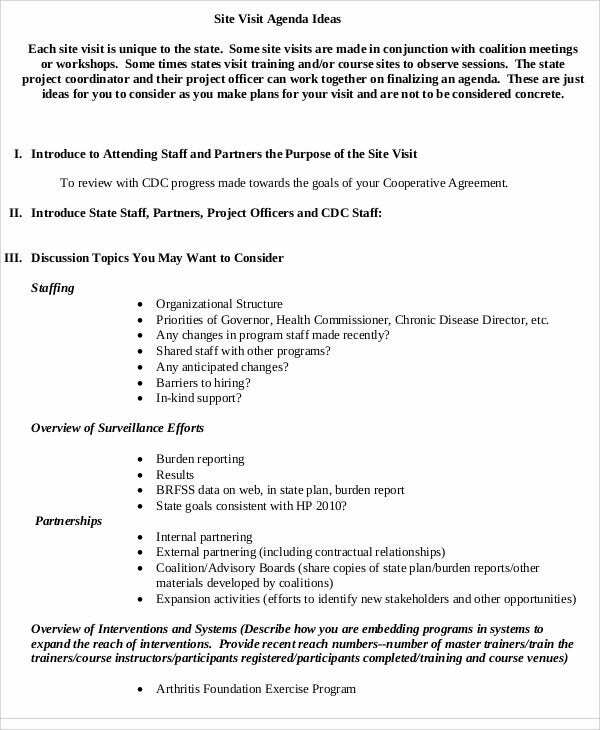 It contains all the information regarding a visit and all activities that needs to be accomplished within an agreed time frame. It could be made for any visit that pertains to business and even just organization gatherings. A visit agenda usually lasts for days and, at most, for weeks. It serves as a direct reminder of what has already been done and of what needs to be done to catch up with an ideal schedule prepared by the visitors themselves or by their respective hosts. It is courtesy to prepare a visit agenda for anyone coming over in general. While they are invited for business purposes, you have to assist them with their activities so they could be aware of the certain specifics set for them. Assign assistants. As a host for a certain conference for example, you have to assign assistants before hand so you could finally prepare a visit agenda. 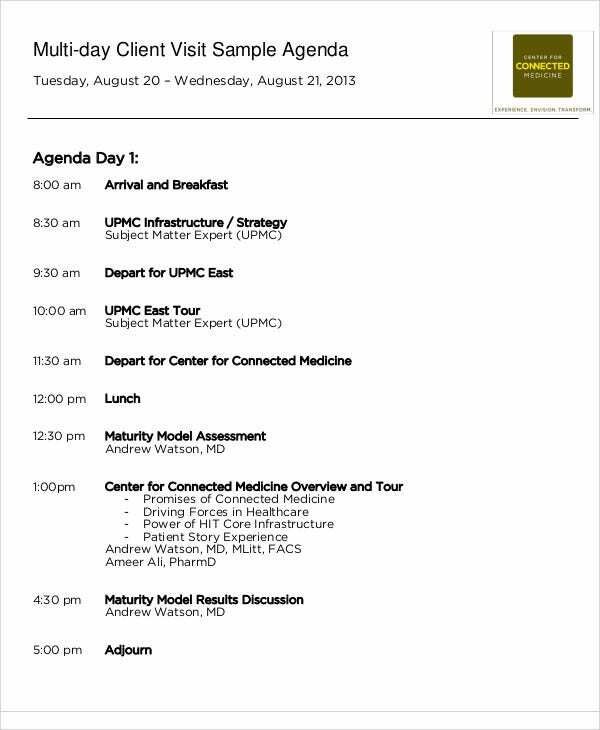 Once they’re assigned on different posts, it would be a lot easier to plot their information in your visit agenda. Know visitor’s details first. You are expected to know your visitor’s details before anyone else. An estimated time of arrival is an example of a vital visitor detail. 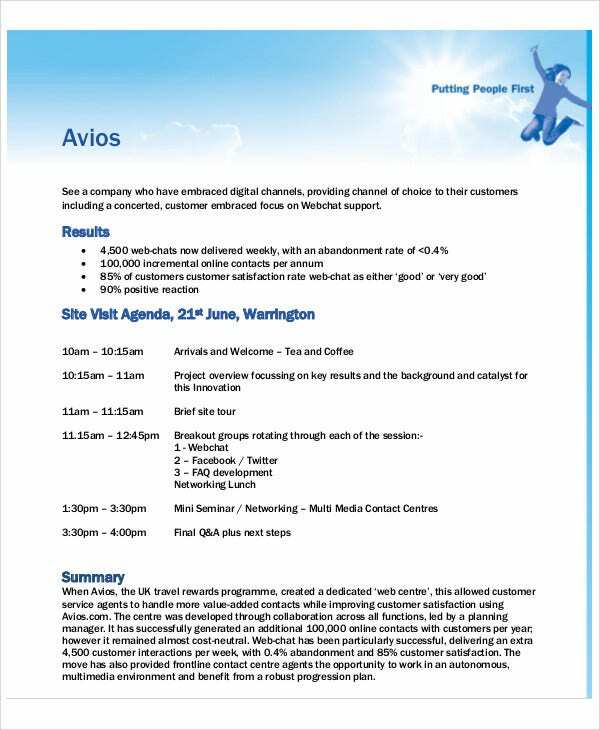 With your initial information obtained, the rest of the details in your visit agenda would all just follow. We have Sample School Agenda Templates available for you to download. 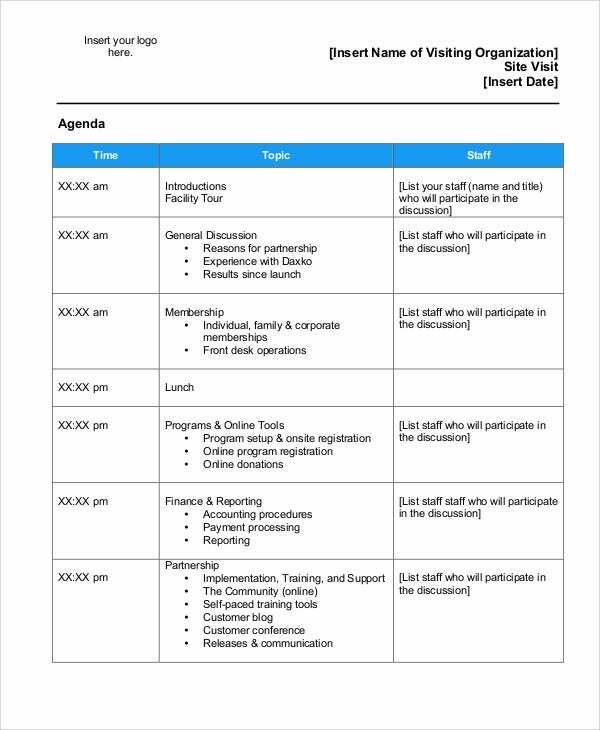 You could also check out an Effective Meeting Agenda Template for possible meeting with your visitors, or our conference agenda format for more formal occasions. Agenda templates in Excel is available for that specific software. Browse through some of our sample templates and download those that you think are comprehensive for you. 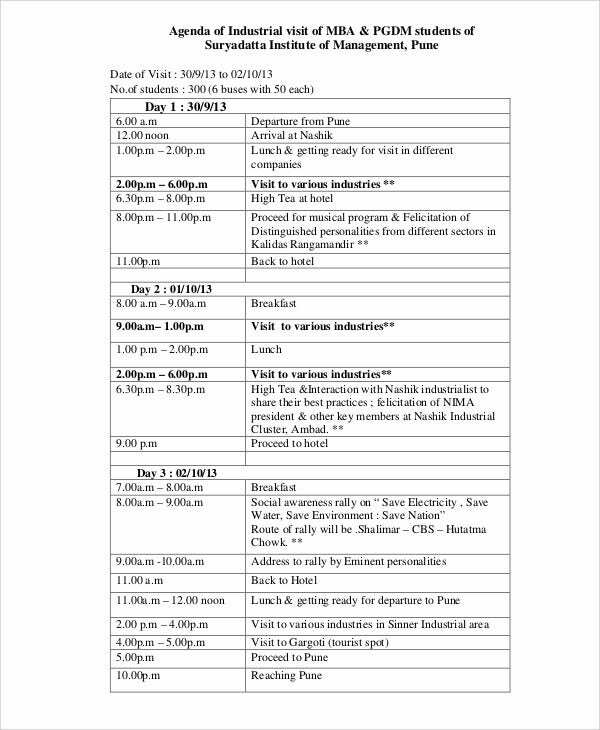 This Corporate Visit Agenda Template is presented in a table. It would be much easier for you to plot your visitor’s schedule and corresponding activities as well. 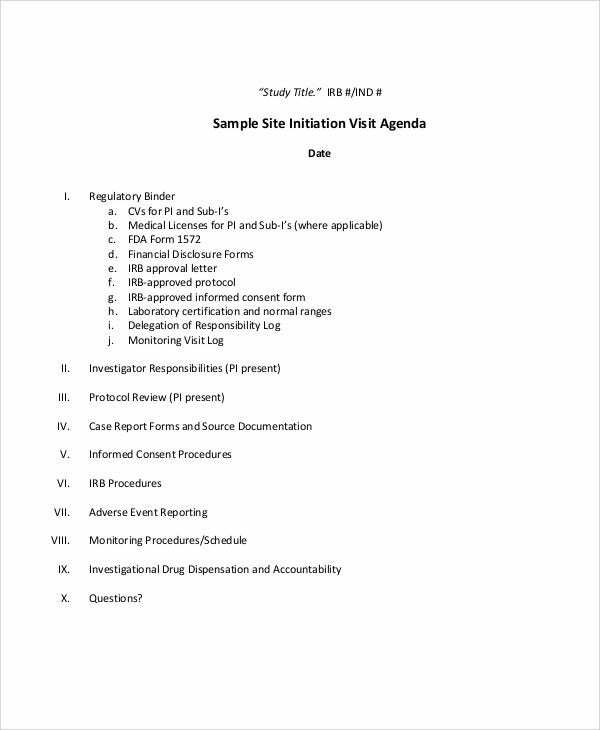 We also offer a Project Site Visit Agenda Template, which is already written for you in subparts. All you need to do is input the different activities that you have prepared for your visitors. You could also plot any of their preferred schedule. Either way, you already have it all organized. 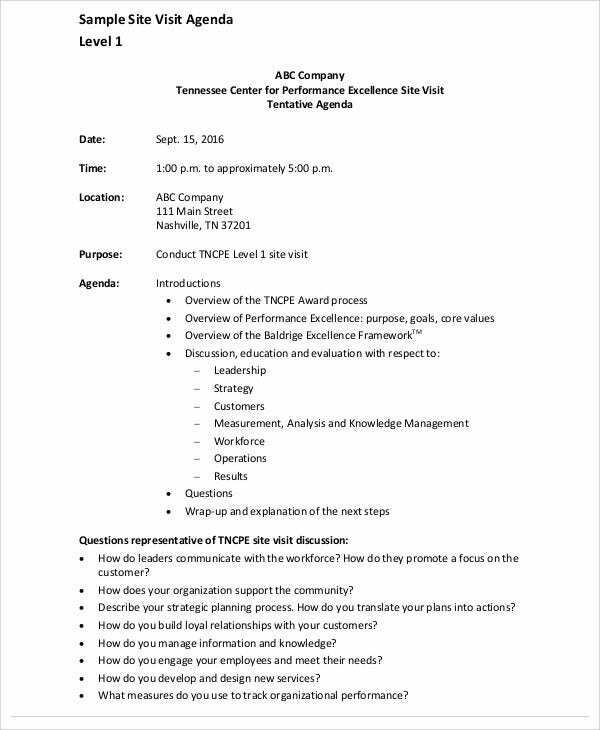 This page also provides you a Strategy Meeting Agenda Template, a Professional Agenda Template, and more Sample Workshop Agenda Templates that could come in handy for you. Our agenda templates in PDF can be printed immediately. 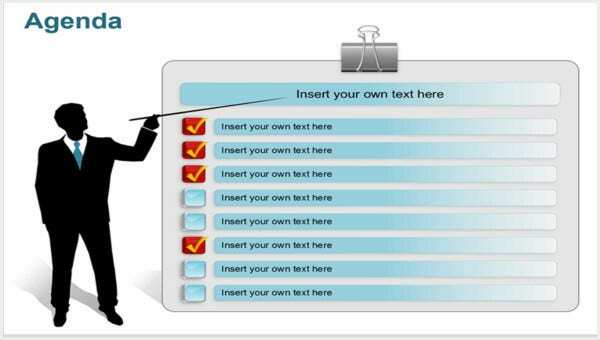 Your work would definitely be twice as easy with these ready made templates.